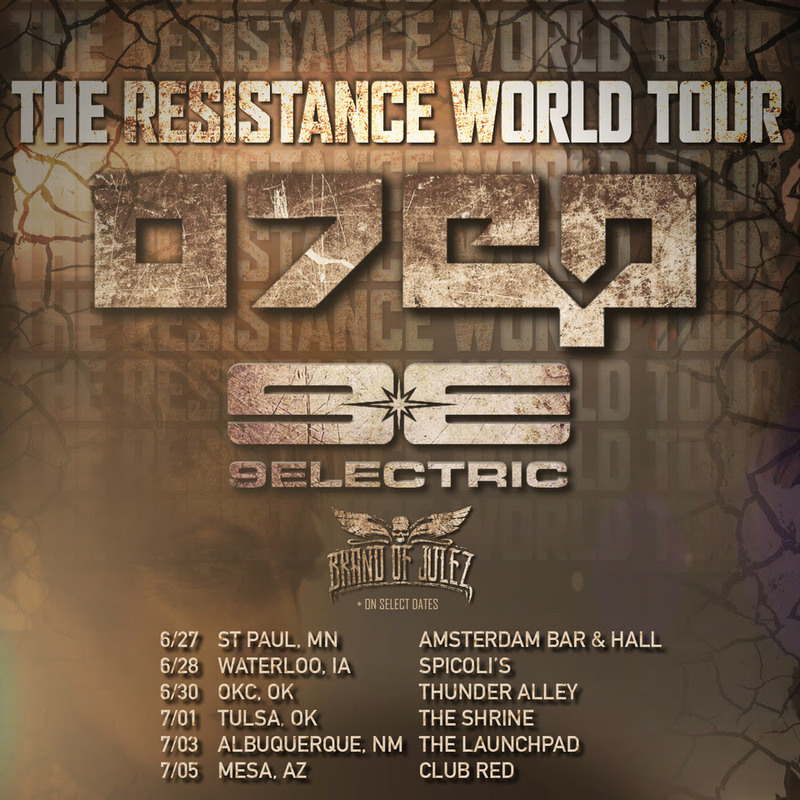 9ELECTRIC are pleased to share that they will be joining on for the remaining dates of Otep's "Resistance" World Tour here in the states. The band's first date on the tour is today (June 27th) in St. Paul, MN, with the tour concluding in Mesa, AZ at Club Red on July 5th. These new shows will see 9Electric continue to support their latest studio album, The Damaged Ones, which came out last summer on Another Century Records. 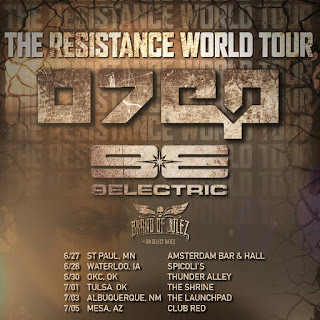 Speaking about joining Otep on their remaining US tour dates, 9Electric frontman Ron "Thunderwood" comments, "9Electric is so stoked to join Otep on their Resistance Tour! Here's a scene comprised not simply of music fans, but fans of something deeper - fans of art, and fans of an unflinching quest for self-realization. 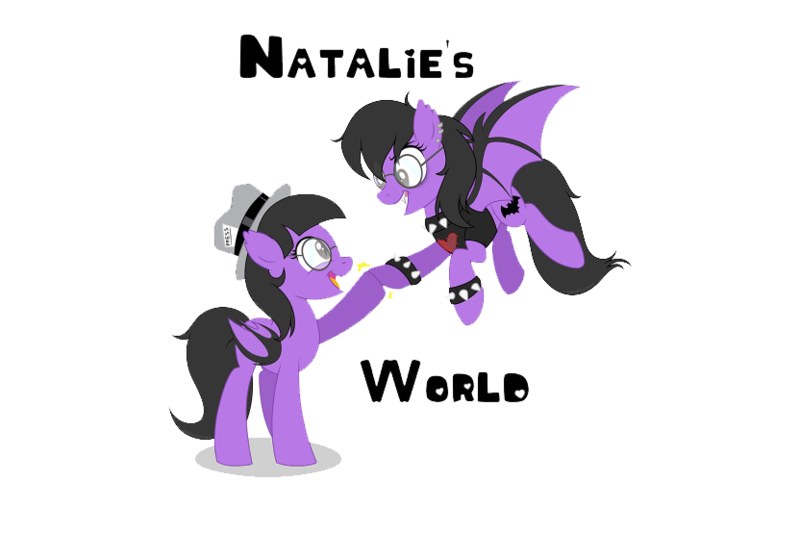 Otep inspires people the way all great artists should, and 9E can't wait to contribute to this scene."